It came out really well and my kids were very impressed. As soon as my daughter had a bite of this, she said ‘ amma, this is brilliant’. Add ghee and salt to taste to the flour and mix well. Add the required amount of water and knead to a smooth pliable dough. Rest the dough for 10-15 mins. Dust the rolling board with flour. 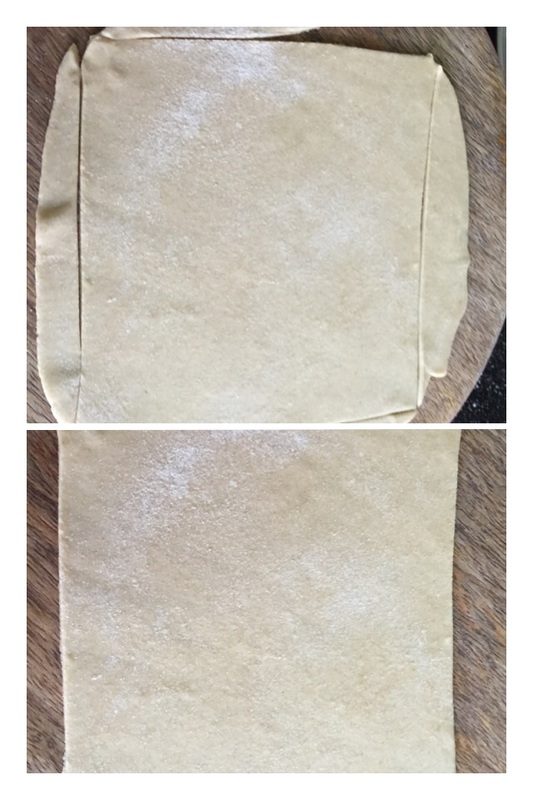 Take a portion of the dough and roll into a circle. Then cut the sides to make it square shaped as shown in the picture ( this is just an option ). 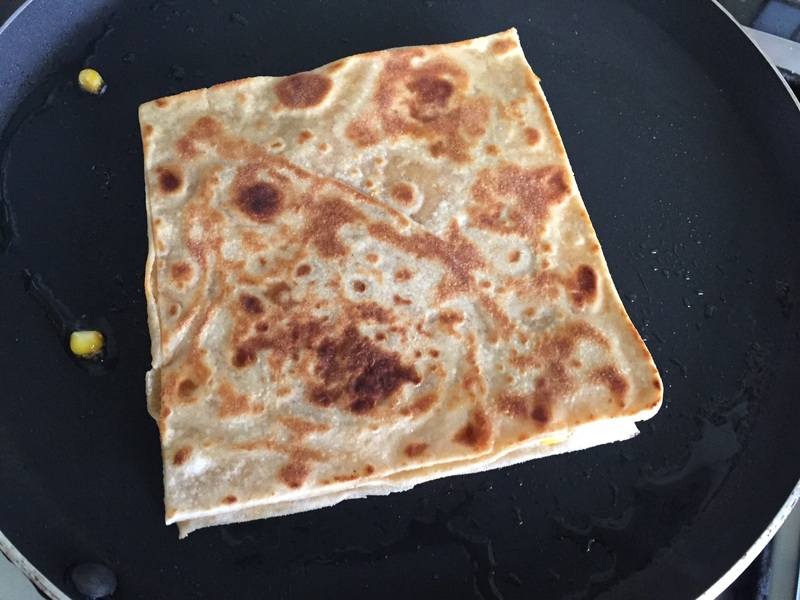 Cook the paratha on a tawa without adding ghee. 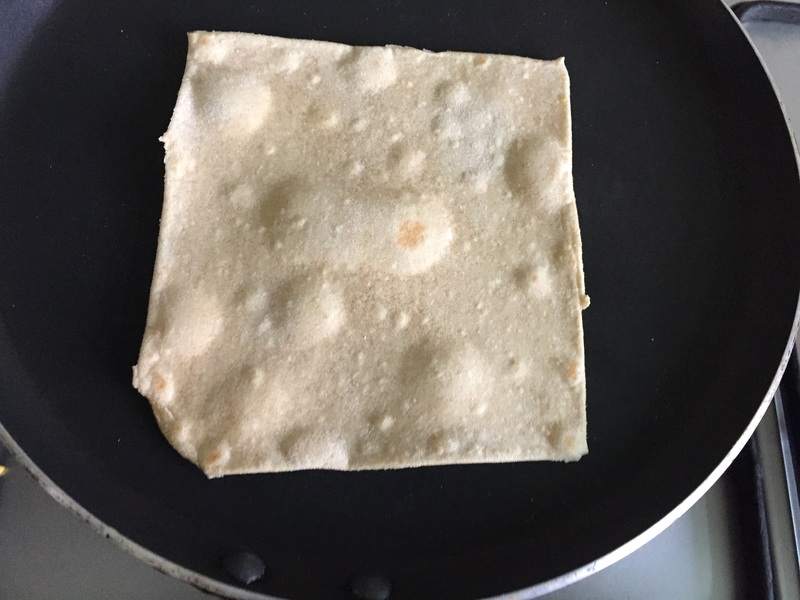 Cook till brown spots appear on both sides. 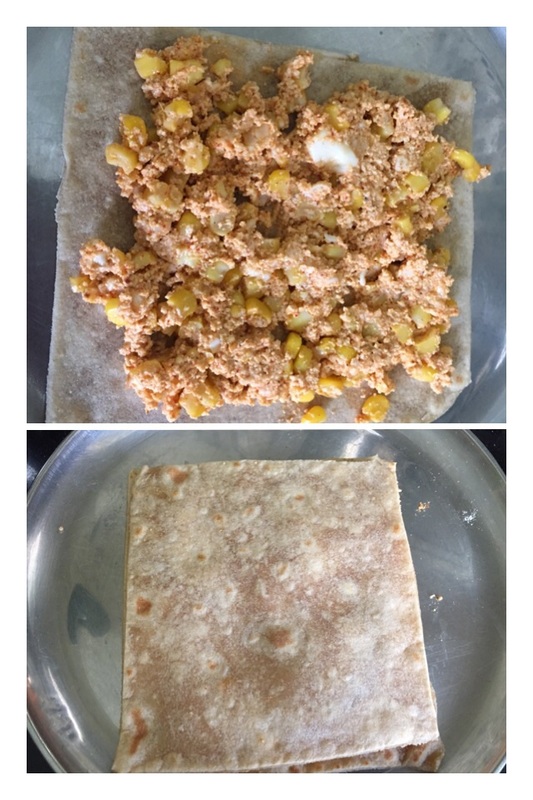 Similarly make parathas with the rest of the dough and keep it aside ( you can 8 parathas ). 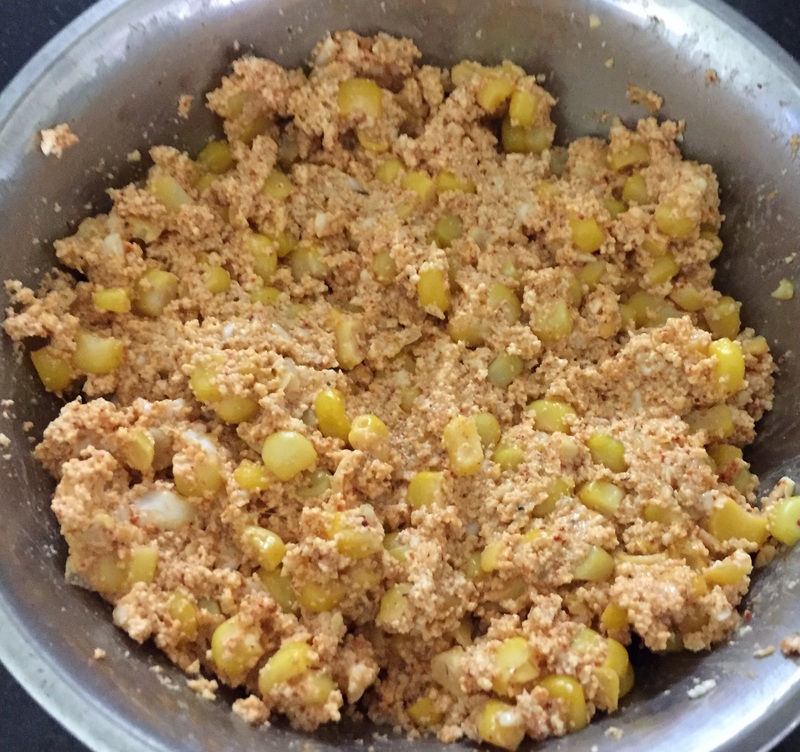 Crush the boiled corn with your hand. Add all the ingredients mentioned for the stuffing and mix well. Check for the seasonings and keep it aside. 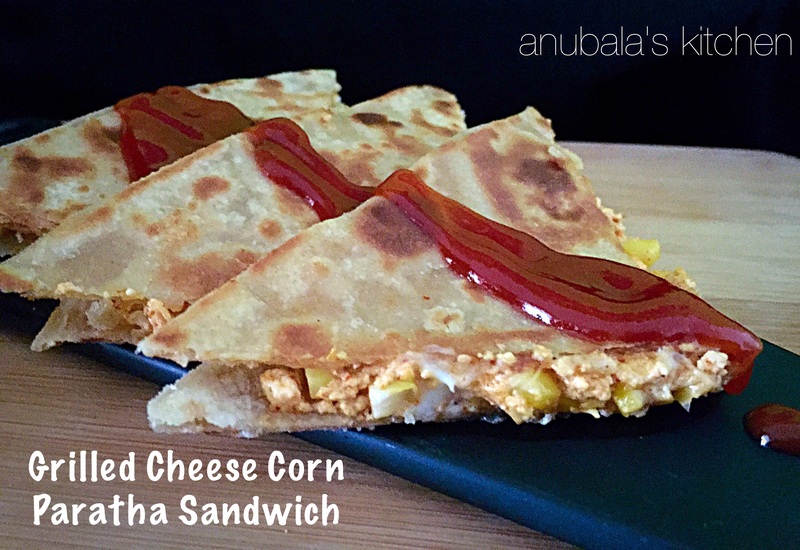 Place some stuffing on one paratha and spread it well. Cover it with another paratha and press it gently. Grill on a hot tawa using ghee or butter till both sides turn crisp and golden. 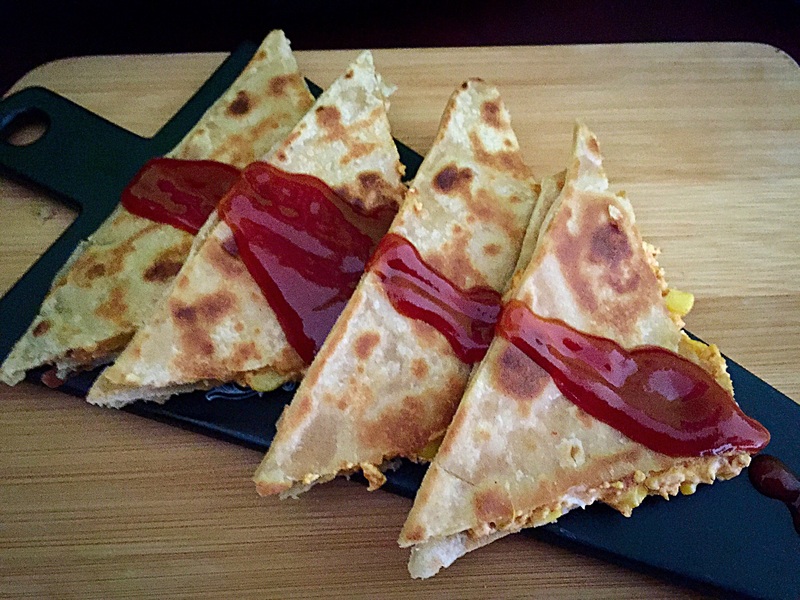 Cut and serve the sandwich hot with tomato ketchup.